It's a fact of nature that small things are easily overlooked. So you may want to take a close look at small mortgage lenders to make sure you don't overlook the advantages they can offer. Small mortgage lenders can offer greater flexibility in their loan guidelines and greater responsiveness to their customers. While the big mortgage lenders are focused on mass marketing, the smaller lenders seek out niches the big guys don't bother with but which they can serve effectively. It's sort of like the restaurant business. The big national chains offer similar menus with standardized entrees designed to be acceptable to a broad range of tastes, and they draw millions of customers a year. But if you want something different or special, you want to go to that small place or chain with the personal touch. Small mortgage lenders may be credit unions, community or regional banks, or any of a number of nonbank lenders. They may operate in just a handful of states, or even just in part of a single state. Some borrowers turn to a small lender after having problems getting a mortgage approved by one of the big boys. Others may choose one after comparison shopping shows the small lender offers the best deal for their needs. Still others may opt for a small lender because they like the level of personal attention or simply have more trust in a smaller, local institution. Here are some of the main advantages a small mortgage lender can offer. Small lenders can often approve mortgages the big guys can't or won't. That's because their lending guidelines differ in some key ways. Big lenders need to efficiently process large numbers of loan applications. To do that, they need to have fairly rigid guidelines that enable them to identify qualified borrowers with a minimum of fuss. They're going for the fat, juicy center of the market. Anything that falls outside those guidelines falls by the wayside. Small lenders, on the other hand, need to focus on a niche. And part of that niche can be qualified borrowers the big lenders passed over. Often, it's a matter of the effort it takes to qualify a borrower. Perhaps they're self-employed with an irregular income. Maybe they have bad credit due to a financial crisis, but have a good income and low debt. Maybe they're an extended family where multiple earners will be contributing to the mortgage payments. Or maybe they're buying a unique property where it's difficult to find comparable sales to assess its value? Large lenders tend to pass over these "non-cookie cutter" loans because it takes too much effort to properly qualify such borrowers. But for a small lender, these might be exactly the sort of niches they're focusing on – and which they know how to do. Many small lenders also do what are called "portfolio" or "non-agency" mortgages. These are loans that the bank keeps on its own books or sells directly to investors, rather than channeling them through Fannie Mae, Freddie Mac or the FHA, as most U.S. residential mortgages are. This means they don't have to adhere to those agencies' guidelines, which lets them be more flexible in things like documenting income or credit score requirements. Small lenders' flexibility can also save you money. Credit unions in particular can sometimes structure loans in ways that allow you to make a smaller down payment or make a small down payment without paying for mortgage insurance, for example. One of the ways small lenders are able to compete with the big institutions is through their familiarity with local market conditions. They're part of their local or regional economy, so they know what's going on there – and use that knowledge when approving mortgages. For example, a large lender may be reluctant to approve a mortgage for an atypical property, such as the original farmhouse on acreage that's now covered by a subdivision. A local lender will know the history of such properties in the area and the demand for them, and may be more comfortable underwriting a loan for it. A small lender will also have its finger on the pulse of the local or regional economy, and have a better sense of the lending risks in that area. It may recognize that what looks to a big lender to be a dilapidated section of town is actually an up-and-coming hot spot, where properties will likely hold or increase their value. Or it may see that someone with a spotty earnings or employment history was simply the victim of a recent downturn or is employed in an enterprise that's on the rise. Smaller lenders are more apt to have local personal ties as well. In some cases, they may give added weight to a mortgage application based on that person's reputation or family and financial ties. Contacts with local realtors may be helpful in resolving problems that arise over a particular piece of property. With a small lender, you're much closer to the decision makers with the authority to approve your mortgage. Rather than dealing with a corporate bureaucracy that can see your inquiries shuttled through multiple departments and up and down a lengthy chain of command, with a small lender you're dealing with a small team that can handle inquiries quickly and efficiently. A small lender is also more likely to get personally involved in qualifying you for a mortgage. They're more likely to roll up their sleeves and do the digging that's necessary to get your mortgage approved. 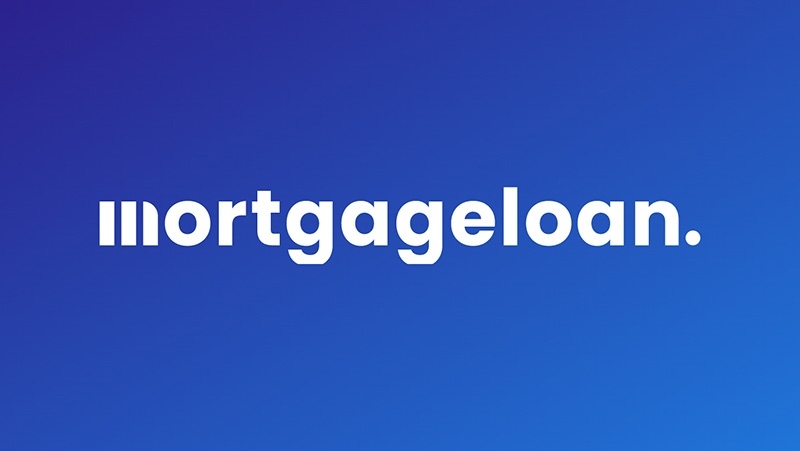 Because decisions are made locally, you can often get a mortgage approved faster through a local bank or credit union than you can through a mega lender. Many people also like to use a small, local lender because they can build an ongoing, personal relationship with them, using them for their banking and other financial affairs over an extended period. This gives them a sense of security and trust when it comes to taking financial advice and making other financial decisions down the road. Small lenders are also where you'll find the type of specialized loans the big lenders won't bother with. Maybe you want an adjustable-rate mortgage with a 15-year lock? Or you want to buy a three-season vacation property that lacks a furnace and insulation, which are common requirements for a dwelling to be approved for most mortgages? Or you want to buy or refinance a home for less than $100,000, an amount too small to interest most lenders? Small mortgage lenders have recently cut back on their offerings somewhat, as they grapple with the challenges of new regulations imposed by the 2010 Dodd-Frank Act. Larger lenders are better positioned to deal with the new law, as they have entire compliance departments to help them meet those demands. Even so, small lenders continue to play an important role in the mortgage market – and depending on your situation, it could be a role that best serves your needs.